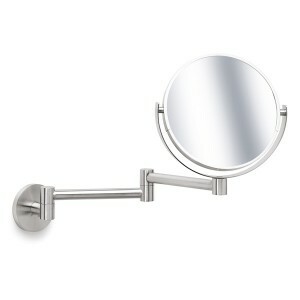 This beautifully made wall-mounted cosmetic mirror is a must in any bathroom. 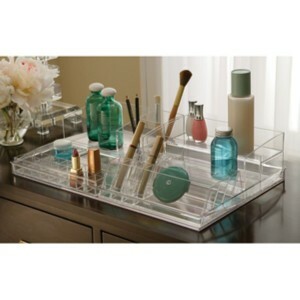 Stainless steel construction and a 5x magnifying mirror makes applying makeup or shaving so much easier. 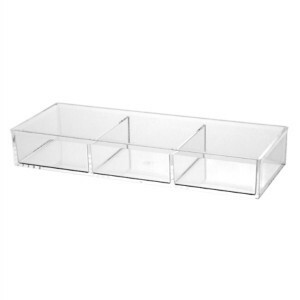 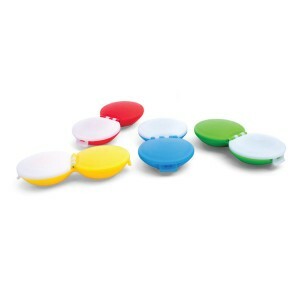 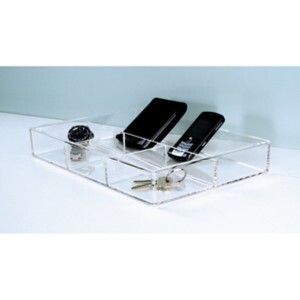 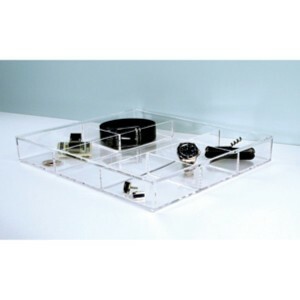 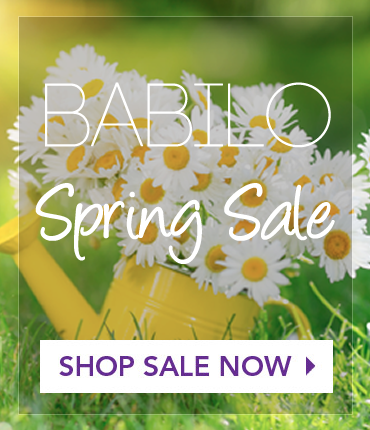 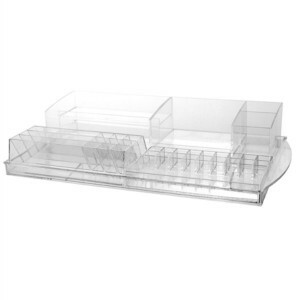 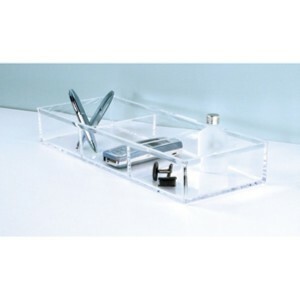 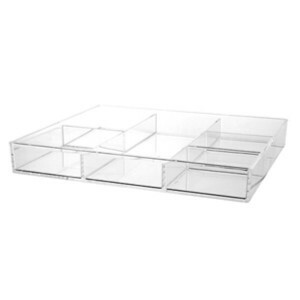 This versatile expandable acrylic organizer quickly and easily organizes most any drawer space. 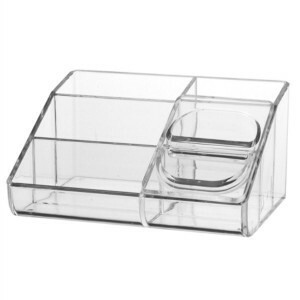 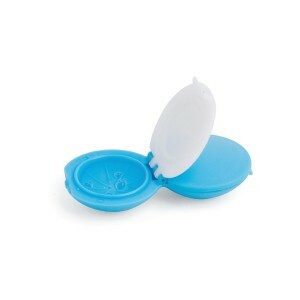 The different sized compartments span a wide range that allows storage of both larger and smaller items. 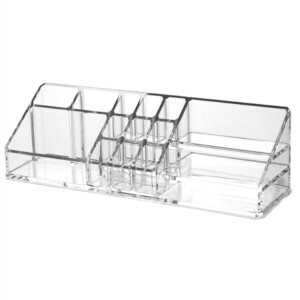 Great for organizing most any drawer at home or the office. 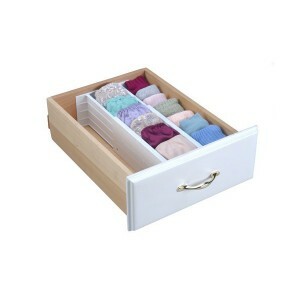 This uniquely designed organizer “hangs” inside drawer for an additional layer of storage space. 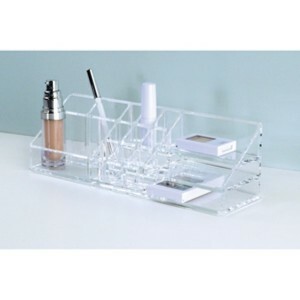 The different sized compartments allow for storing a multitude of items such as office supplies, craft supplies, cosmetics, and jewelry. 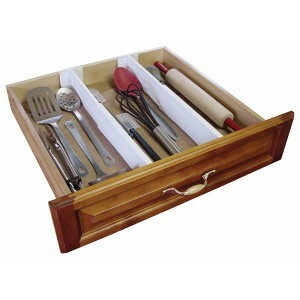 Rails on both sides fit securely over drawer sides. 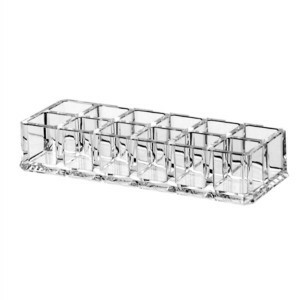 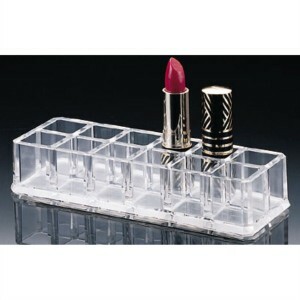 Keep up to 12 of your favourite lipsticks in this beautiful acrylic organizer. 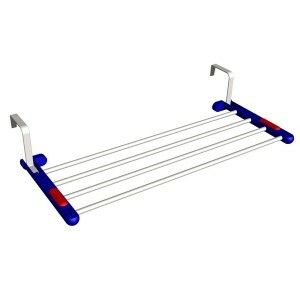 Clearly attractive, it allows you to see what you have at a glance. 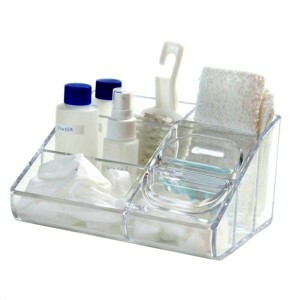 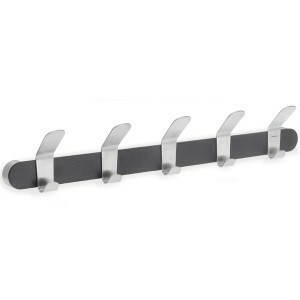 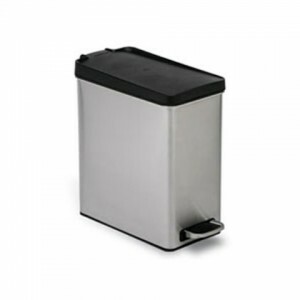 Its compact design allows it to fit easily on a shelf, or leave out on the countertop or vanity…wherever is most convenient for you.